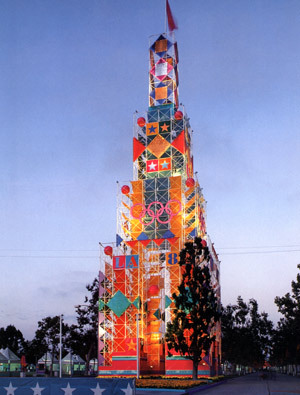 One of many scaffold towers decorated with multicolored banners and graphics. Models of sonotube columns used for a variety of sports venues. 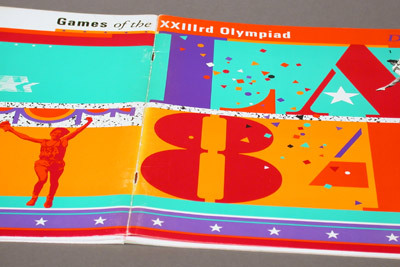 Olympics 1984. Monographic issue of Design Quarterly magazine about the Olympics. 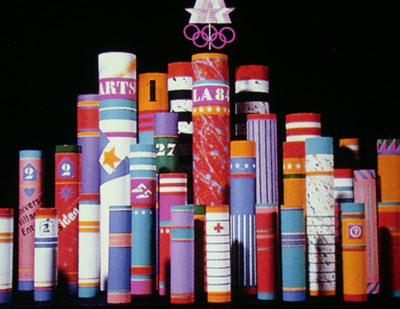 As part of the design team of Sussman/Preja, I was involved in the development of the environmental graphics for the 23rd Olympiad in Los Angeles, California. I built models of event venues and applied the color scheme to a wide typology of structures and graphics. Photo courtesy of Sussman/Prejza.